The Hikari Model 777 Angel is the newest generation in the Hikari family of texturing tools. Texturizing shears have wider teeth and feature more space between the teeth. These shears cut a more substantial piece of the hair than blending shears, but create added volume and texture through layering. 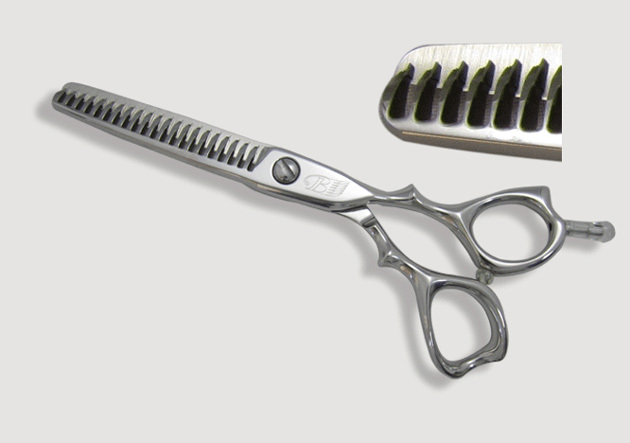 After making a cut with these shears, the shorter hairs will lay underneath to support the longer hair.